With phones, headsets, and speakers getting Bluetooth, it was inevitable that alarm clocks would get them too. 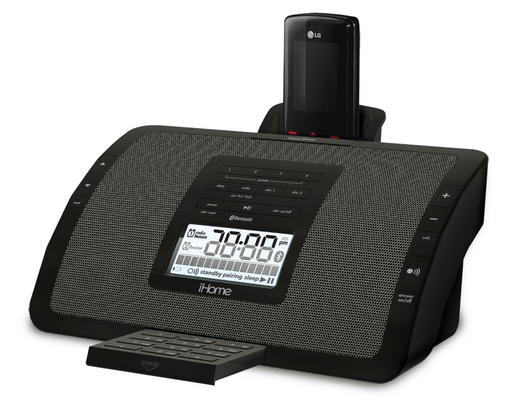 iHome's iHC5 dual-alarm clock radio has wireless capability that lets you both stream music from your PC/phone and act as a speakerphone for your cell. The upside? You won't need both an alarm clock and speakers.